1/3 veg. No added nonsense. 1 pack = the same natural sugars as 1 small apple. No added sugar. Never from concentrates. 1 of your 5 a day. Absolutely nothing else. No gluten. Vegan friendly. Kosher - KLBD. 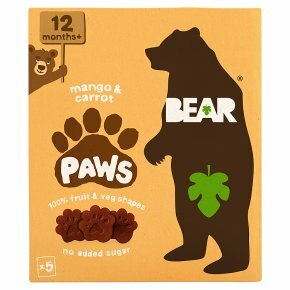 We are BEAR and we like things as nature intended Just fruit Just veg Absolutely nothing else We never use concentrates only fresh fruit and veg.